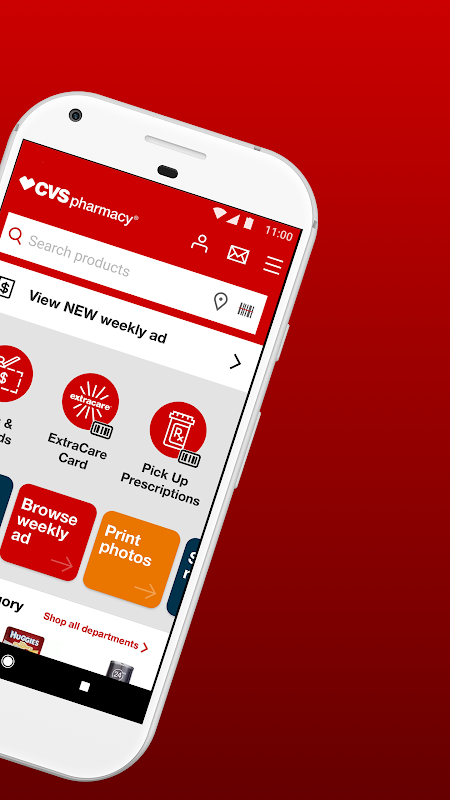  The official CVS/pharmacy® app for prescriptions, ExtraCare® coupons and photo. Staying healthy. Saving time. Spending less. The official CVS Pharmacy? app makes them all easier. Heres how: Checkout. Easier. " Get ExtraCare? deals, pick up scripts and pay in a single scan. " 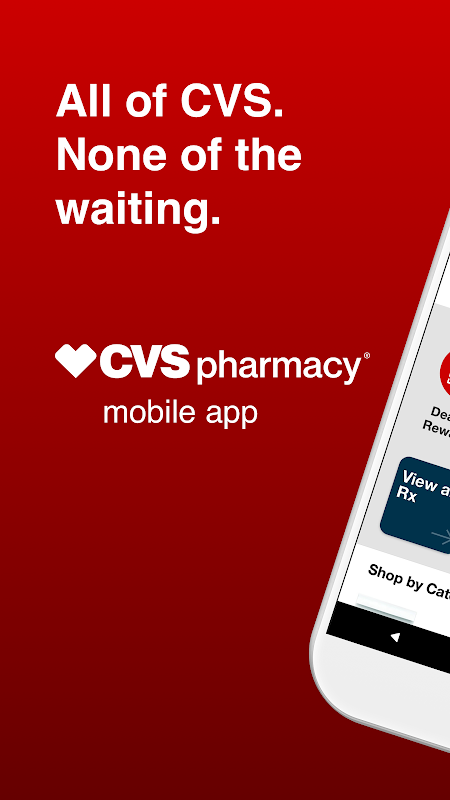 Enjoy 1-tap Rx checkout after the first time you prepay for your prescription. Running errands. Easier. " Order from our app for curbside pickup (select stores and products). Saving money. Easier. " 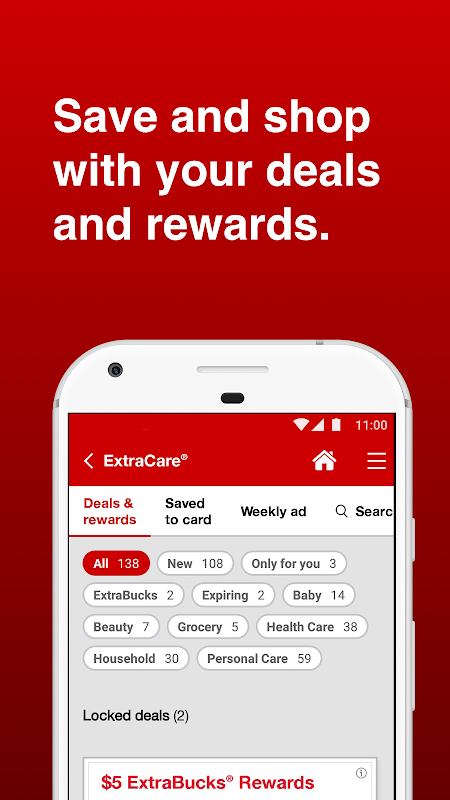 Get app-only deals and access all of your offers when you link your ExtraCare card. " Opt in to notifications so you never miss a deal. Receive photo and Rx updates too. " Pre-shop local store sales with myWeekly Ad. " Enjoy free 2-day shipping on app orders (restrictions apply). Refilling and picking up prescriptions. Easier. " Order refills and track them on the go. " 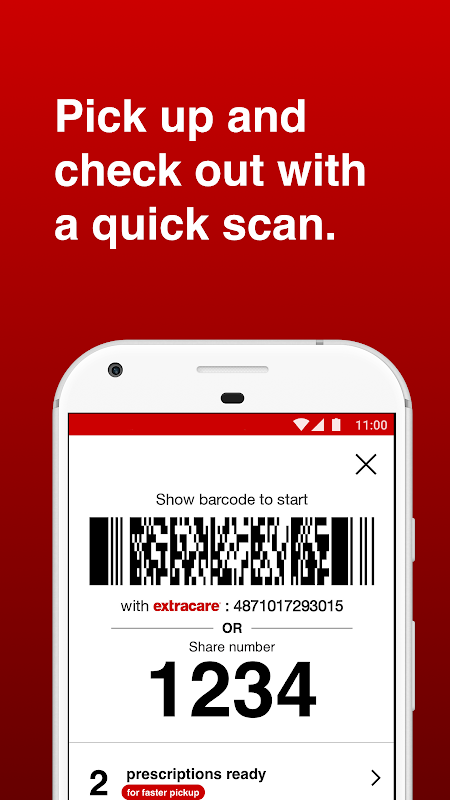 Scan a barcode in the app for easier, private pickup. Turn landscape to sign. " 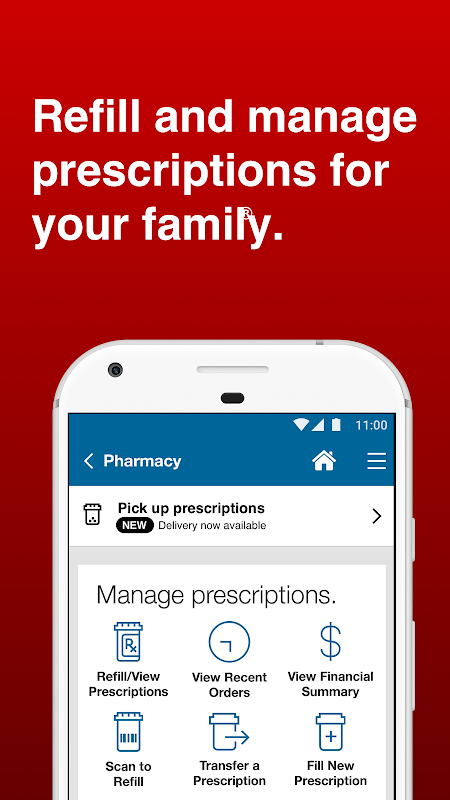 View your prescription history. " Check for drug interactions and information. Printing photos. Easier. " 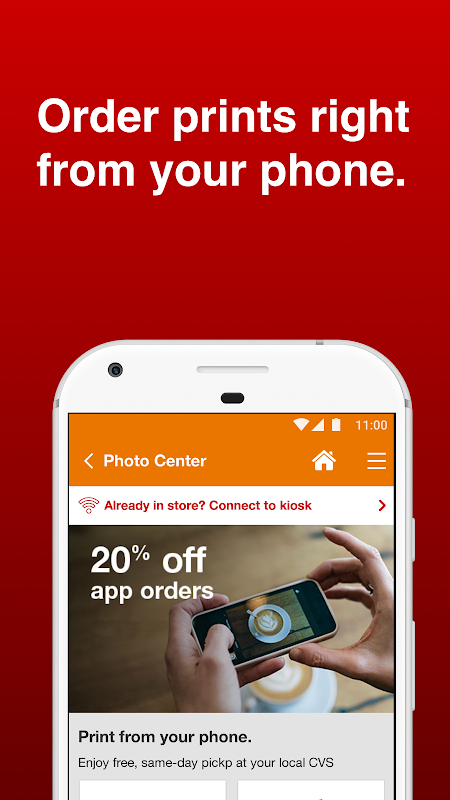 Order prints from your phone or Facebook for same-day pickup (select stores and products). Family health care. Easier. " Find a nearby MinuteClinic? walk-in clinic. " View wait times and hold a place in line (restrictions apply). " Check services and insurance. To access all of these great features, please be sure your device is running the latest OS. We support Android versions 5.0 and higher. Please note: Continued use of GPS running in background can decrease phone battery life.  Is CVS/pharmacy yours? Claim it!